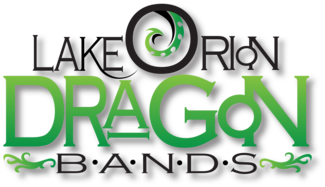 Welcome to the Lake Orion Dragon Bands Concessions Sign-Up! All volunteers, please remember a hat. We are flexible with shift times. If you cannot work the shift as listed, we still want your help. Simply note the time you are available in the "Comments" next to your name when you sign-up. Remember it takes a village! Students 16 and older may work as an adult, i.e. no parent oversight is necessary. Parent participation is greatly appreciated and needed as well. Students under 16 are required to work alongside a parent or guardian. If student is not available, parent may work alone. LOHS Students: Working concessions is an approved Service Learning activity. Please bring a Student Service Learning Form with you to your shift for a concessions manager to sign. LOMB Students and Parents: If you are working concessions for voucher points, please bring a Voucher Form with you to your shift for a concessions manager to sign. Students may work a shift for either service hours or voucher points, but not both. PLEASE PROVIDE A CONTACT NUMBER IN THE COMMENT SECTION OF YOUR SIGN UP! Jim Theunick- will you please bring some voucher papers to the stand? He doesn’t have one. I will leave carpenter elementary at 4:00!